7 Tips for Lowering Your North Shore Property Taxes! Chicago’s North Shore offers the best in Chicago suburb living. Close proximity to your every day needs, great shopping, mouth watering restaurants, and of course a quick drive to Chicago’s downtown makes the North Shore a very desirable place to live! The only cloud that may hang over head is something that any homeowner in America deals with: property taxes. However, there is a silver lining! From now until April 22nd, those that own a home in New Trier Township may file an appeal to the Board of Review to get their assessed valuation lowered. This, in turn, could result in a reduction of the home owner’s tax bill! If you currently own a home in New Trier Township and you feel that the assessed value of your home is at least 10% higher than it should be, you may want to consider filing an appeal. Being willing to put in a little time and research can help you save in an area you never thought possible. If you’re not sure how to determine if you’re paying too much on your taxes; there are a few ways to learn more about the system and what you can do to take action. Recently Money.CNN.com pointed out 7 steps for lowering your property taxes. So, whether you live in New Trier Township or not; you may be able to save money! 1. Learn your system- Taxing authorities use different methods to calculate home values. Some look at recent sales of similar homes. In rural areas where sales are few, they might estimate the cost to rebuild. Others use some combination of methods. Call your assessor’s office and ask how it pegs values. 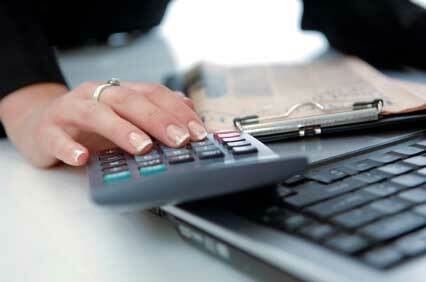 In some locales your tax liability is based on a percentage of your property’s estimated value. You’ll want to know what that percentage is so you can figure out whether the actual value the assessor is assigning to your home is fair. You can always ask a North Shore Real Estate agent about the process for assessing taxes on homes in the North Shore. 2. Get your assessor’s evidence- The assessor didn’t pull his estimate out of a hat, even if it seems that way to you. Visit the tax assessor’s office and ask for the evidence used to value your home. Get your home’s property card, which lists basic details like lot size, square footage and number of bathrooms. 3. Make sure the description is right- When municipalities or counties re-assess property values, they typically hire an outside contractor who looks at hundreds or thousands of homes in a tight time period. The appraiser has to come up with shortcuts. Three vent stacks on the roof? That must mean three full baths. Never mind that an upstairs laundry room could be the culprit. The assessor’s file should contain a worksheet that the appraiser filled out during inspection with addresses of homes he compared with yours. 4. Build your case- You won’t have much time to file an appeal, generally 60 days or less from the time your annual tax assessment was mailed. (This typically occurs between late spring and late summer.) For those of you living in New Trier Township; the deadline is April 22nd! If the issue isn’t a simple error on your property card, you’ll need to arm yourself with recent comparable sales or assessments that show your house has been valued too high. You can look up your neighbors’ home valuations at the assessor’s office. The easiest way to come up with comparable sales is to ask a North Shore Real Estate agent for help. Please know that if you can’t find comparable North Shore homes that sold for at least 10% less than your property’s assessed value, throw in the towel. Some areas require the valuation to be off by even more than that to win an appeal. 5. Meet the assessor informally- Go over the evidence you found in support of a lower value. If the assessor more or less agrees with you, the rest of the process will be a lot faster and smoother. Attitude is important. You’re showing the assessor how his appraiser messed up, so be kind. If the assessor won’t budge, make him explain why. Take notes since these are the same arguments he will use once your appeal is filed. 6. File the appeal- Usually filing the appeal is with a county board. Hand deliver it and get a receipt or use certified mail. Within a couple of weeks you should get a notice acknowledging receipt, although you could have a long wait for a hearing. Most appeals are heard over the course of a couple of weeks. Before your day arrives, attend a hearing to get accustomed to the proceedings. Prepare visuals with photos of your home and the comparable homes, then write out and rehearse your presentation. Keep it to eight minutes or less. Brevity will score you points and leave time for the board to ask questions. 7. Feel lost?- First, you’ll likely appeal to a state agency. If that fails, you’ll probably have to go to court. At this stage of the game you’ll need help from a lawyer, but you can retain a lawyer for a contingency fee that varies based on your potential tax relief. An independent appraisal will cost $400 or so. The state, which will be handling hundreds of such appeals, wants to end the dispute as quickly as you do. In about 95% of cases, they will voluntarily give relief. This whole process, if not having to go to court, could take you a mere 15-20 hours; which seems painless in the grand scheme of the money you’ll be saving. If you’re interested in learning more about the New Trier Township appeal; please visit their website. As a North Shore Real Estate agent; I’m always available to answer any questions you may have about the North Shore Real Estate market, living in Chicago’s North Shore or about buying or selling a home! Please feel free to contact me anytime; I look forward to hearing from you! Create the Ideal Outdoor Living Space for Your North Shore Home! While spring is officially here, although it may not seem like spring this week on Chicago’s North Shore; I’m sure many of you have begun to think about warmer weather. The spring, summer and even late into the fall seasons are a beautiful time to live in the North Shore, which means that an outdoor living space can be enjoyed for a nearly seven months out of the year! If you do not currently have a place outside in which you can relax and enjoy the outdoors; maybe this is the year to invest in one! 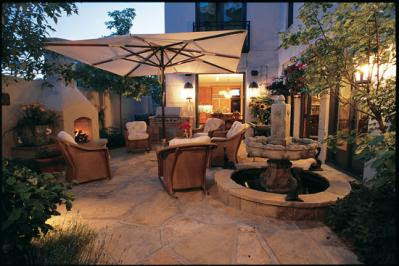 Creating an outdoor living space can be as extravagant or as cost-effective as you want it to be. The overall goal is to simply have an area that is designated and designed as an additional living area. Whether you want to simply curl up with a good book while feeling the warm summer breezes or you’d like an entire area designed for entertaining friends and family; you’ll find that creating this space will be well worth the investment! Having an outdoor living space is also an added bonus if you plan on selling your North Shore home! Buyers will see this area as additional square footage and this can put you ahead of your competition. Designing an outdoor living space may be something you’d like to do on your own, or you may decide to hire a professional such as Nature’s Perspective Landscaping in Evanston or North Shore Hardscapes. 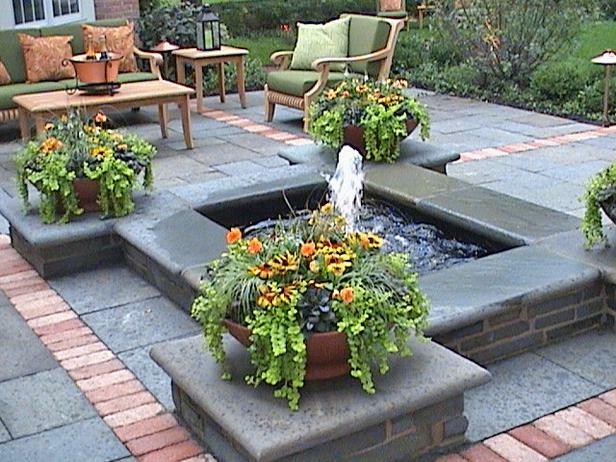 Whatever you choose to do in your outdoor space; there are three essential elements you’ll want to be sure to include! 1. Fire- According to a recent national survey, landscape designer Michael Glassman, noted that the #1 request for an outdoor space is a kitchen. While designing and installing an entire outdoor kitchen can be very costly, there are other ways to get this same feel. Make an outdoor fire-pit, purchase a potbelly stove, or just use your charcoal grill. On cooler evenings in Chicago’s North Shore, roast marshmallows or cozy up by candlelight and a hot cup of tea. No matter your budget or size of your outdoor space, you’ll be able to find a way to creatively incorporate fire! 2. Water- The sound of trickling water always seems to have a calming effect. If you’re not close enough to hear the lapping water reaching the North Shore; there are other options for creating the serene water effect. A simple tabletop fountain or a pond or stream beside your patio or deck will bring the essence of tranquility and quiet to your outdoor living area. Just be sure to utilize the water you want in your space and keep out the water you don’t! A rainy day can put a damper on your outdoor activities, but having an awning or gazebo with naturally growing vines can offer the protection you need from a passing shower. 3. Earth- Since this is an outdoor room, be sure to include as many earth tones and natural objects as possible in your design. You want to maintain that outdoor feel instead of simply mimicking an interior space. Use things like rocks, branches or wooden objects or furniture to add interest. Of course the changing seasons will be the backdrop of your outdoor room, so be sure to play off the colors and vibrancy of the North Shore season. I hope this gives you a few ideas for creating your own outdoor living space for your North Shore home! Now is the time to get started to ensure that it’s ready when the warm weather decides to stay and we’re enticed outdoors! If you plan on adding an outdoor living space in order to make your home more appealing to buyers, but have not yet found a North Shore Real Estate agent to assist you in selling your home; please let me know! I’ve worked with buyers and sellers in the North Shore Real Estate market for years and would enjoy the opportunity to assist you in selling your home. Please feel free to contact me anytime with questions about North Shore living or for any of your North Shore Real Estate needs. I look forward to hearing from you! Winnetka Active Listings: There are a total of 175 properties actively on the market with the average price of $1,950,258 in Winnetka. Winnetka Sold Listings: 11 properties closed last month in Winnetka with an average sales price of $1,128,744, the average time on market for these properties was 153 days. Northbrook Active Listings: There are a total of 377 properties actively on the market with the average price of $574,334 in Northbrook. Northbrook Sold Listings: 24 properties closed last month in Northbrook with an average sales price of $369,736, the average time on market for these properties was 114 days. Highland Park Active Listings: There are a total of 366 properties actively on the market with the average price of $942,601 in Highland Park. Highland Park Sold Listings: 12 properties closed last month in Highland Park with an average sales price of $463,333, the average time on market for these properties was 84 days. Glencoe Active Listings: There are a total of 103 properties actively on the market with the average price of $1,912,212 in Glencoe. Glencoe Sold Listings: 6 properties closed last month in Glencoe with an average sales price of $1,107,000, the average time on market for these properties was 144 days. Deerfield Active Listings: There are a total of 167 properties actively on the market with the average price of $560,480 in Deerfield. Deerfield Sold Listings: 13 properties closed last month in Deerfield with an average sales price of $389,200, the average time on market for these properties was 88 days. 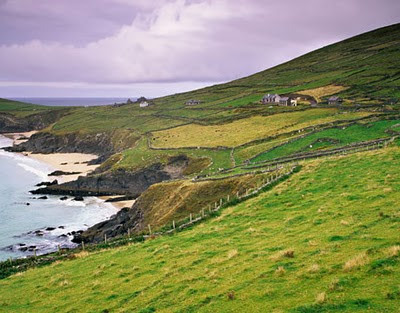 Celebrate the Spirit of Ireland this Week in Chicago's North Shore! Living in Chicago’s North Shore offers a vibrant lifestyle in which you are in the center of endless events and opportunities to get involved in your community. Whether you reside in Glencoe, Northbrook, Highland Park, Winnetka, Deerfield or any of the surrounding areas; you’ve probably experienced the satisfaction of settling into your home and your community. Many find themselves searching for homes in Chicago’s North Shore because of the areas surroundings. One can take in the feel of a small town lifestyle while still being within close proximity to the large metropolis of Chicago; an ideal location for many homeowners! One of the things I enjoy is hearing about the fun local events that are taking place throughout the North Shore. With St. Patrick’s Day just around the corner, many local restaurants are beginning to host this Irish holiday and I’ve gathered a few events that celebrate the spirit of Ireland. Whether you have an Irish heritage or not; you’ll enjoy this opportunity to meet up with friends and neighbors to celebrate this fun holiday! - The celebration starts Friday, March 12 as the Curragh celebrates their 2nd St. Patrick's Day in Skokie! The heated tent goes up Friday night and the fun continues through Wednesday, March 17. Plenty of live music, Irish food, Guinness, Craic and fun! - Hackney's has always done St. Patty's Day up right! Plenty of Irish menu items and boisterous bag pipers create a party all evening long from Friday, March 12 through Wednesday, March 17. - Music all day, culminating in the headlining band lead by Tim O'Shea. 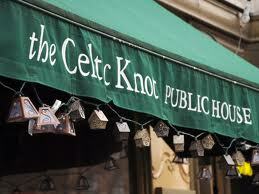 Bagpipers will be in-and-out and a condensed authentic Irish menu will be offered a la carte. Bridie's opens at 9am! - Celebrate St. Patty's Day at the BBQ Pit featuring corned beef and cabbage from 11:00 a.m. to 9:00 p.m. I hope you’re able to take advantage of these events offered throughout the North Shore! If you have any questions about living in Chicago’s North Shore or about the North Shore Real Estate market; please let me know! I’d be happy to show you around and help you find a community that fits your needs and lifestyle. As a North Shore Real Estate agent, my passion is to pinpoint the needs of my clients and match them up to a home and neighborhood that makes them feel the most comfortable and happy with their decision. Please feel free to contact me today with any questions or to get started with finding your North Shore home! Tips for Pricing Your North Shore Home Correctly! Selling your North Shore home can seem like an overwhelming process, but it doesn’t have to be! The last few years in the housing market have leaned in favor of buyers. Those selling their home this year fear that the market hasn’t changed enough to be able to get the desired price for their home. Sellers sense that selling in 2011 will still entail a long stint on the market with very little activity, and therefore get discouraged from selling at all. As a North Shore Real Estate agent, I am continually receiving updates on the North Shore Real Estate market, and can attest to the fact that the market is experiencing a steadying balance between buyers and sellers. One of the key elements of getting your North Shore home sold is making sure your home is priced correctly from the beginning. 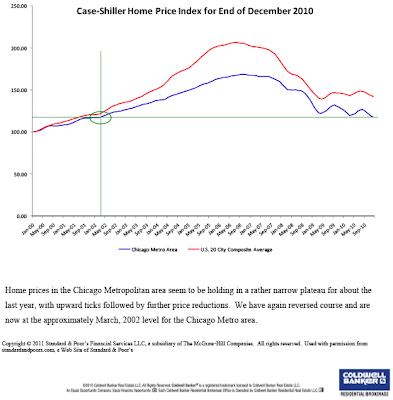 Recently Coldwell Banker sent out this report noting that home prices have leveled out to where they were in 2002. The issue with home selling comes when homes are placed on the market far above their market value. Homes will end up sitting on the market for months at a time and are given to continued price reductions. The longer a home sits on the North Shore market; the less interest it receives. Buyers see this as a red flag that perhaps something is wrong with the home and they end up turning to the markets’ fresh listings. So, how can you ensure that your home is priced right from the beginning? Your North Shore Real Estate agent will be key in helping you determine your listing price. While they have your best interest in mind and understand it’s important to get the best price possible; there are other important factors that play into the final price. Your North Shore agent will first and foremost look into the comparable homes in the area. Noting what homes that are similar to yours in size, location, etc.. are being sold for is a good starting point. Your agent will also look at the cost of recently sold homes in your North Shore area and will study current market trends. Below are the other key points that will help determine your selling price. 1. Location- You can't get away from this one. If your house is located in a desirable North Shore area, you will be able to get a higher price than you can for the same house in an area that is not as popular. Distance to schools, stores, restaurants and other every day stops will play a role in the desirability. 2. Condition- A North Shore home that has been better maintained and shows better will always sell for more than one that has had deferred maintenance and needs work. 3. Desirable Amenities- If a house has amenities that are currently popular in the North Shore marketplace, it will bring a higher price. Your North Shore Real Estate agent will be able to give you a better idea of the type of amenities that the homes in your North Shore neighborhood offer. 4. Calculate the price per square foot- The average price per square foot for homes in your neighborhood shouldn't be the sole determinant of the asking price for your home, but it can be a useful starting point. Keep in mind that various methodologies can be used to calculate square footage. Having your home appraised can be useful as well as you will have a formal written document of all of your home’s selling points. If you have questions about selling your North Shore home and have not yet found a North Shore Real Estate agent; please let me know! 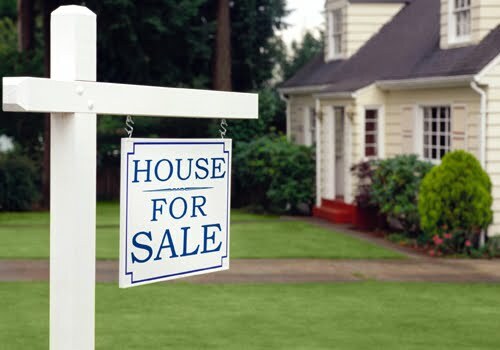 I have years of experience in selling homes in the North Shore Real Estate market and can help you price your home right from the beginning to ensure a seamless and stress free home selling process. Please feel free to contact me anytime with any questions you may have or to get started! I look forward to hearing from you!